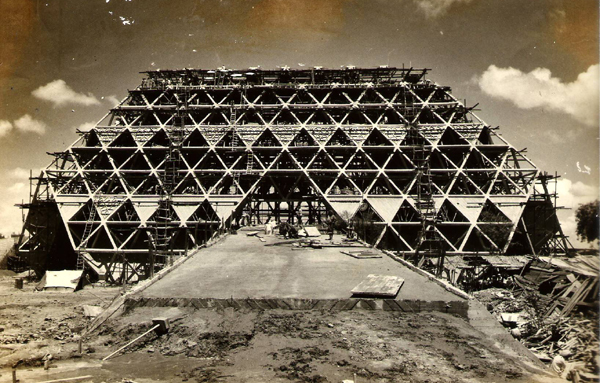 PRAGATI MAIDAN HALL OF NATIONS & HALL OF INDUSTRIES, NEW DELHI, 1970 - Speco Engineering Pvt. Ltd. 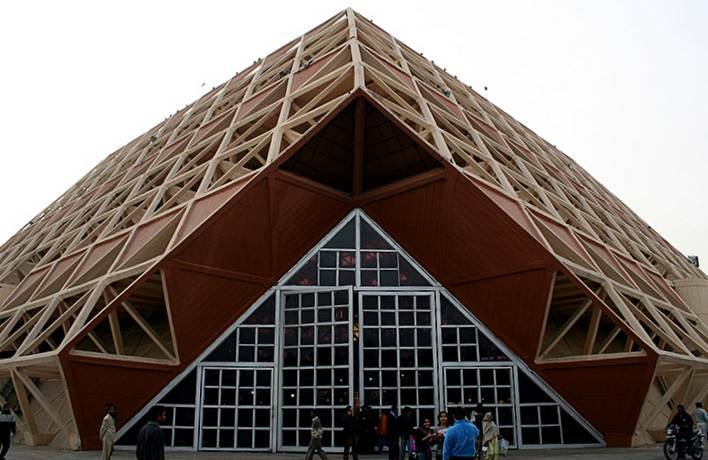 Built for the Trade Fair Authority of India at Pragati maidan , New Delhi in 1982 by Speco engineering pvt Ltd. The complex was planned, designed and constructed within a period of 18 months. 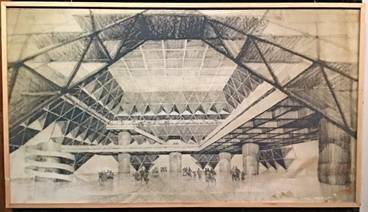 It constitutes a central hall having a clear span of 44m and a height of 22m supported on 8 hollow circular shafts like columns of 3.4m diameter placed at the vertices of an unequal but symmetrical octagon. 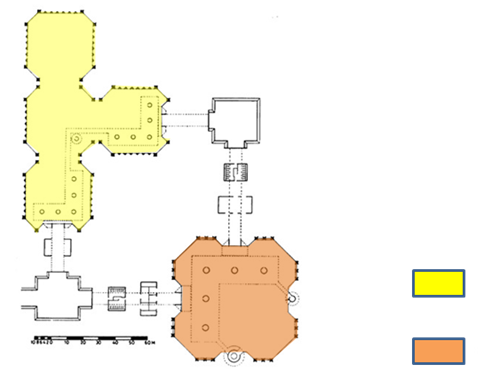 The complex has a covered area of 9,450 sqm . The structure is cast-in-situ RCC and founded on 408 driven cast-in-situ concrete piles of 50cm diameter. Approximately 4,380 cubic of structural concrete of various grades and 750mt of reinforcing steel have been used in the construction. 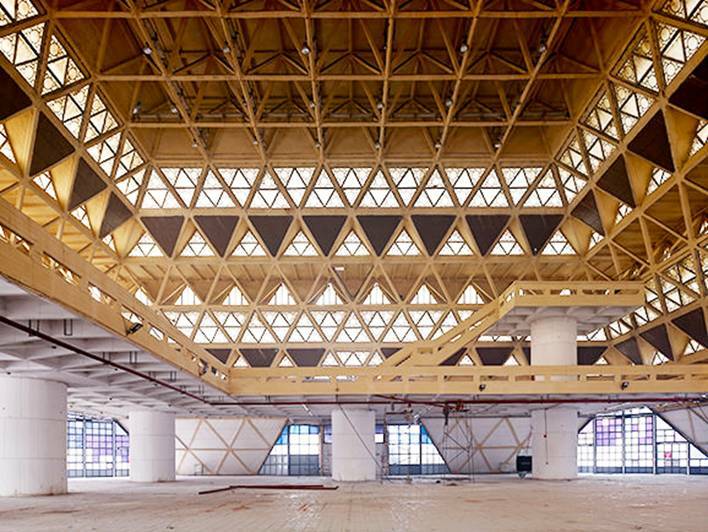 Octahedra measuring 5m from joint to joint were employed as the basic 3D unit of the space frame, Which rests on 8 points around the essentially square planned and allows 11m wide openings between the supports. An effective system of environmental control inside the building was another outcome of the 3D structure, as solid triangular panels at regular intervals provided sun screens – a modern equivalent , according to some authors of the traditional jali in Indian architecture .